It’s night time at the zoo. All the visitors have come and gone, and the zookeepers have headed home. Amongst the packing crates scattered around their enclosure, the monkeys gather for their regular competition! Each Sunday night, the monkeys race to push the crates together to build a tall tower. 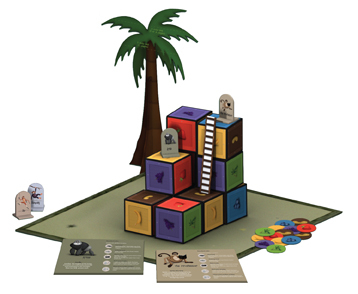 Choose your monkey and by matching food tokens to the colors on the packing crates, climb to the top first. Watch out for the other monkeys who may try and scare you away or block your moves. Make the most of each monkey’s special abilities to help you climb higher. The first one to clamber high enough to leap into a nearby tree, spends a night on the town! 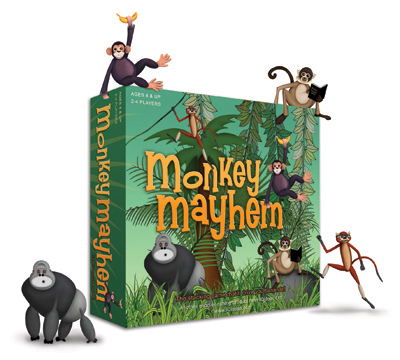 Monkey Mayhem is a classic Euro game from Frederic Moyerson of Saboteur and Nuns On The Run fame. The game as originally devised was a competition between dock workers to stack crates and climb to the top. That seemed far too dry, so we came up with the Monkey Mayhem theme. Bek’s illustrations and graphics really shine here, and we made sure to match the special powers to the appropriate monkey or ape: the Patas Monkey is the speedster, the Chimpanzee is manipulative, the Spider Monkey is a smarty, and the Gorilla is mighty! For my part, I’m really proud of the quality of the components and the clarity of the rulebook. 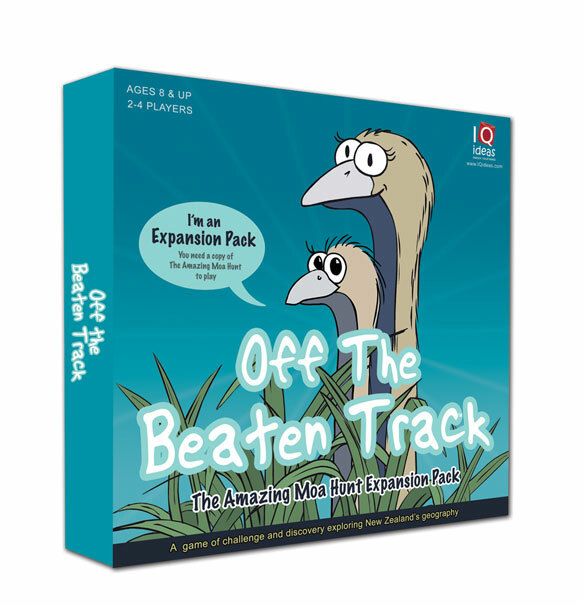 The example diagrams are clear and concise, and each player gets a player aid that makes it quick to get started. The card for the tree and board is nice and thick. The box liner works very well to contain and protect the parts.